Offering you a complete choice of products which include compressed air heaters, activate alumina, water cooled aftercooler, air cooled aftercooler, activated carbon and auto drain valve zero air loss. Compressed air in-line heater packages with unique features to ensure variable compressed air temperature control from 200C (680 F) to 1200C (2Å80F), ideally suitable for industrial or breathing air applications. The compressed air line heater system uses an open wound heating coil and a high accuracy output temperature sensing device. 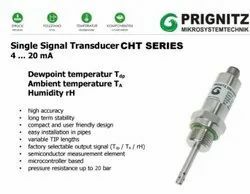 This combination of fast responding heater and sensor allows the unit to adiust quickly to any variations in flow rate or line pressure, without deviation in the output temperature. The heater is controlled by a compact solid state temperature controller mounted on top of the unit. The temperature is set using a rotary knob located at the top of the unit. The exact temperature output is indicated by a bi-metallic thermometer clearly visible at the front of the heater, providing an independent indication of controller operation. Heaters can also be supplied, directly mounted to Walker Filtration pre-filters to ensure that process air is clean. Hazards Identification: Emergency Overview: Caution! May cause irritation. Causes Eye & Skin irritation. As part of good industrial & personal hygiene and safety procedure, avoid all unnecessary exposure to the chemical substance and ensure prompt removal from skin, eyes & clothing. Irritation of upper respiratory tract, Ingestion : None identified, Skin contact : Irritation, chronic exposure ¿¿¿ No information found. First Aid Measures: If inhaled, remove to fresh air. If not breathing give artificial respiration. If breathing is difficult give oxygen. Prompt action is essential. If large amount were swallowed give water to drink & get medical advice. In case of contact with skin immediately wash skin with plenty of water for at least 15 minutes. In case of contact with eyes immediately flush with plenty of water for mimimum 15 minutes. Fire Fighting Measures: Fire Extinguishing Media ¿¿¿ Water, dry Chemical, foam or carbon dioxide. Firefighters should wear proper protective equipment and self contained breathing apparatus with full face piece operated in positive pressure mode. Accident Release Measures: Wear suitable protective clothing. Take up with sand or other non-combustible absorbent material and place in to container for later disposal. Flush spill area with water. Handling and Storage: Keep container tightly closed. Suitable for any general chemical storage area. Container of this material may be hazardous when empty since they retain product residues (vapour, liquid); observe all warning and precautions listed for the product. Exposure controls / personal protection: In general, dilution ventilation is a satisfactory health hazard control for this substance. However, if conditions of use create discomfort to the worker, a local exhaust system should be considered. Skin Protection. Wear protective gloves and clean body covering clothing. Physical and Chemical Properties: Appearance : White, Gray or tan powder / extrudates. Odor : No information found. Vapour Pressure (mm Hg), Not Applicable. Stability and Reactivity: Stable under ordinary conditions of use and storage. It should be avoid Moisture & Heat. Incompatibilities. Hydrogen fluoride, strong acids, alkalies, olefins, water & strong oxidizing agent. Water cooled after Cooler is able to cool high temperature compressed air from compressors down to 40°C or less while efficiently removing moisture from the air. As this is water cooled, it can be used where there is high temperature, high moisture and heavy foreign particles. 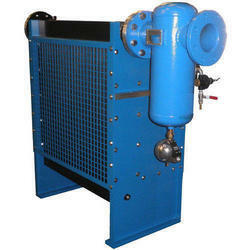 Aftercoolers are heat exchangers for cooling the discharge from a air compressor. 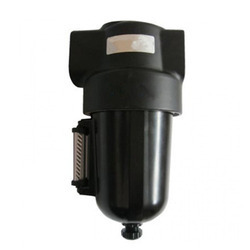 They use either air or water and are an effective means of removing moisture from compressed air. Aftercoolers reduce the amount of water vapor in a compressed air system by condensing the water vapor into liquid form. Activated carbon (also called active carbon, activated charcoal, or activated coal) is a form of carbon that has been processed to make it extremely porous and thus to have a very large surface area available for adsorption and chemical reactions. It is usually derived from charcoal. 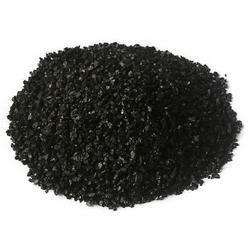 Activated carbon is valuable for a variety of applications. Examples include gas purification, water purification, metal extraction, gold recovery, medicine, sewage treatment, air filters in gas masks and filter masks, and filters in compressed air. In addition, activated carbon is useful for the deodorization of closed spaces such as refrigerators and warehouses, adsorption of ethylene to prevent premature ripening of fruits and vegetables, and discoloration of sugar, honey, juices, and liquor.Sufficient activation for useful applications may come solely from the high surface area, though further chemical treatment often enhances the adsorption ability of the material.Activated carbon is valuable for a variety of applications. Examples include gas purification, water purification, metal extraction, gold recovery, medicine, sewage treatment, air filters in gas masks and filter masks, and filters in compressed air. In addition, activated carbon is useful for the deodorization of closed spaces such as refrigerators and warehouses, adsorption of ethylene to prevent premature ripening of fruits and vegetables, and discoloration of sugar, honey, juices, and liquor.Sufficient activation for useful applications may come solely from the high surface area, though further chemical treatment often enhances the adsorption ability of the material. No-Loss/Zero-Loss Automatic Drain Valves: Known for their energy efficiency since they don't waste compressed air, no-loss, also called zero-loss automatic drain valves can often pay for themselves in a matter of weeks. Float/Pneumatic Controlled drain valves are easy to implement because they don't require an electrical connection. They use compressed air as its power source to operate and is ideal for applications where power is not available or desired. Sensor/Electronic Controlled drain valves are typically less likely to foul since the condensate doesn't come in contact with the sensor. Condensate drains designed for the electronically level-controlled discharge of the condensate in compressed air networks function without unnecessary loss of compressed air and with minimal energy input. Also called direct acting drains, these drains incorporate a solenoid valve and an electric timer. The timer usually has two settings: time between valve openings (usually in minutes) and amount of time the valve stays open (usually in seconds). The drain comes with an electrical cord that can be plugged into a wall outlet. By matching these two settings to the amount of condensate a system produces the condensate can be removed from the compressed air system. The goal is to set the timer long enough to empty all of the condensate but not so long that compressed air is wasted. 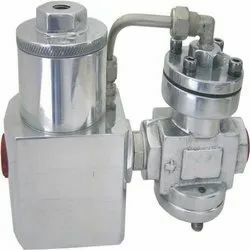 A combination isolation valve and strainer, if not standard, is highly recommended. This keeps objects from plugging the orifice inside the automatic drain valve, which will keep condensate from being released. Diaphragm style electronic drain valves have larger orifices than most direct acting drain valves. Because of the larger orifice it is generally accepted diaphragm drain valves are less likely to foul than direct acting valves. Diaphragm drain valves do use more compressed air than their direct acting cousins. In the end, the choice between direct acting and diaphragm drain valves is really a coin toss. 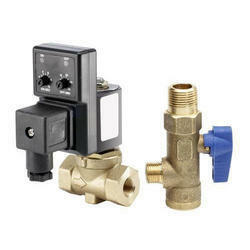 Both are good electronic drain valves and can be used in the same applications. A strainer should be used with a diaphragm valve in dirty applications. If you need to drain an air receiver or other similar pressure vessel the best choice is a ball valve drain. 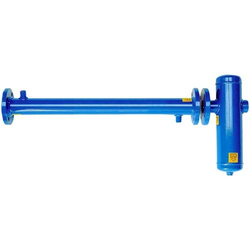 Compared to other types of drain valves ball valve drains are not affected as quickly by dirt, oily sludge, rust, and the other gunk that comes out of receiver tanks. Motorized ball valve drains with timers are a little more expensive than direct acting drains, however the headaches saved probably make the expense worthwhile. 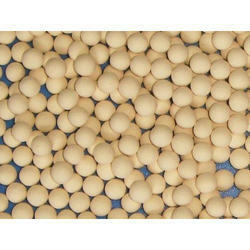 Molecular sieves are desiccants with differing properties to those of silica gel. 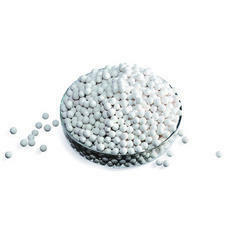 With the appearance of small opaque pinkish beads, molecular sieves are synthetically produced, highly porous crystalline metal-alumino silicates. They have many internal cavities that are linked by window openings of precise diameters. It is these diameters (measured in Ångstroms) that classify molecular sieves - 3Å, 4Å, 5Å, and 10X / 13X. Adsorption occurs only of molecules with smaller diameters than these cavity openings. Larger molecules will be excluded from adsorption. 3A: It is a synthetic zeolite of A type crystal structure in potassium sodium form with a pore opening of 3 angstroms (0.3 nm). Available in Beads as well as Pellets. 4A: It is a synthetic zeolite of A type crystal structure in sodium form with a pore opening of 4 angstroms (0.4 nm). 5A: It is a synthetic zeolite of A type crystal structure in calcium-sodium form with a pore opening of 5 angstroms (0.5 nm). 10X: It is a synthetic zeolite of X type crystal structure in calcium-sodium form with a pore opening of 8 angstroms (0.8 nm). 13X: It is a synthetic zeolite of X type crystal structure in sodium form with a pore opening of 9 angstroms (0.9 nm). When it comes to operating compressed air-based machines, it is s must to keep the air free from moisture as the undesirable amount of moisture also contains other pollutants and contaminants. These contaminants and water-based particles move too fast and take no time to dampen the internal components like valves, flow meters and fittings of the machines by eroding them. With time, the internal elements, overall performance and durability of the compressed air-driven engines and machines face major troubles. What are Moisture Separators and How do They Work?These machines are widely used in several industrial sectors to remove water vapor or moisture of any type from the Air or steam. This elimination of moisture, water vapor and other soluble contaminants considerably increases the overall thermal efficiency of a steam-based engine and its performance. Moisture separators work on the basis of centrifugal force that pushes away the condensations from the steam. 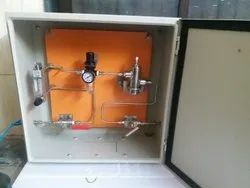 As a result, these machines produce dry steam that are mainly used by industrial devices like autoclaves and other critical equipment like nuclear reactors, large industrial boilers, classic steam locomotive engines, modern turbine system and so on. 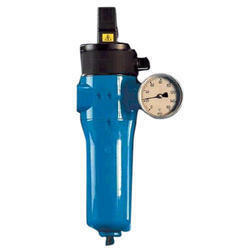 Looking for Compressed Air Accessories ?